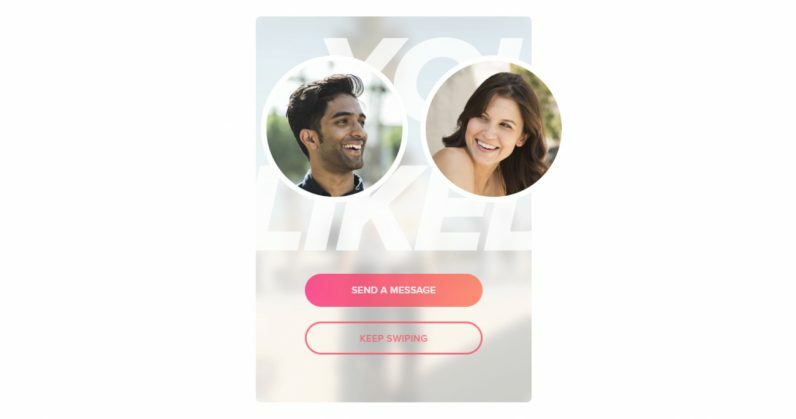 Tinder is rolling out a feature on its dating platform called My Move, which allows women to decide whether they’d like to start a conversation with someone they’ve matched with. The company has been testing this feature in other countries for several months now; the idea is to launch it globally if it proves successful there. Tinder is now making it available across the country, first to users of its iOS app. For those out of the loop: Tinder lets people who are interested in each other initiate a conversation. With the introduction of My Move, the option to start chatting with a match is left solely to women who opt in to use this feature, giving them more control over their interactions with people on the app. Rival app Bumble – which is taking Tinder’s parent company, Match Group, to court for stealing trade secrets – already works this way. By giving our female users the ability to exclusively send the first message if and when they want to, My Move provides women the autonomy to choose how to engage with their matches and empowers them to control their experiences. We believe that true choice is letting women be who they are and empowering their choice to shape their own identity and experiences. Conversations about dating are still relatively nascent in India. Our experiences in-market over the last three years has shown us that dating ideals, which were once considered the norm, are fast evolving. Women, in particular, are seeking out ways to take charge of their romantic and social experiences – a phenomenon we see both across India’s cities and towns. Hopefully that’ll help women feel safer when using Tinder. It remains to be seen if people in other countries where dating and premarital relationships are far more common will care to use this. Are you looking forward to Tinder’s My Move feature? Let us know in the comments.